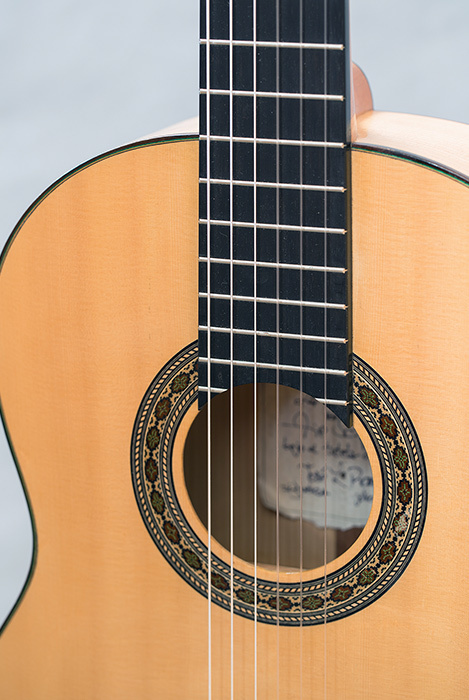 Built strictly in the traditional Spanish style, this guitar has a spruce top. The back and sides are made of cypress. 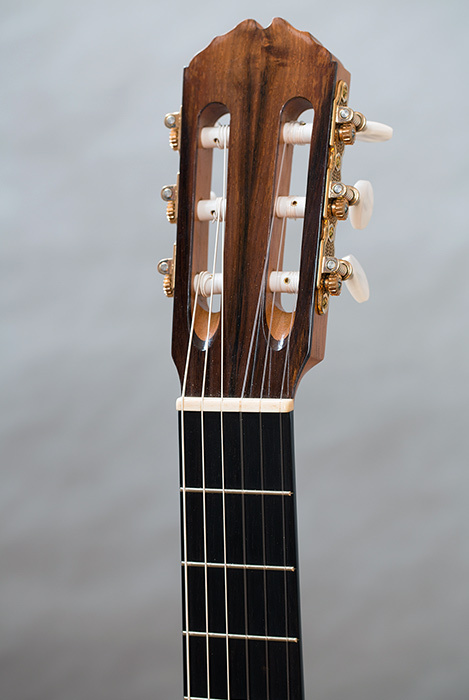 The neck is cedar. 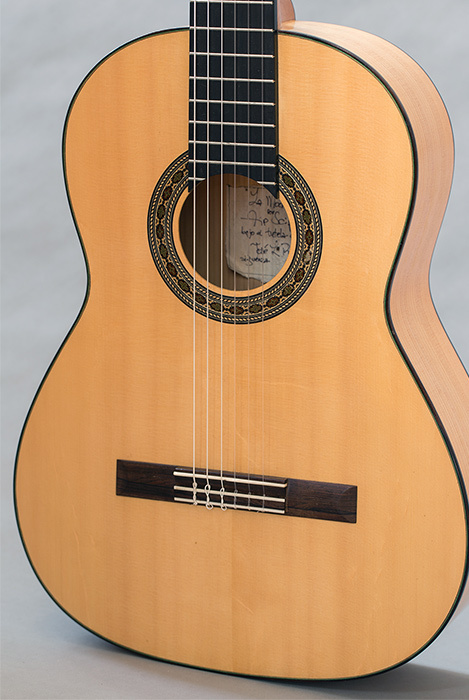 Although the use of cypress is usually designated to flamenco guitars, this instrument is more an all round classical instrument than a flamenco guitar: the action is low, but the bridge is not made to flamenco specifications, as is the top bracing. 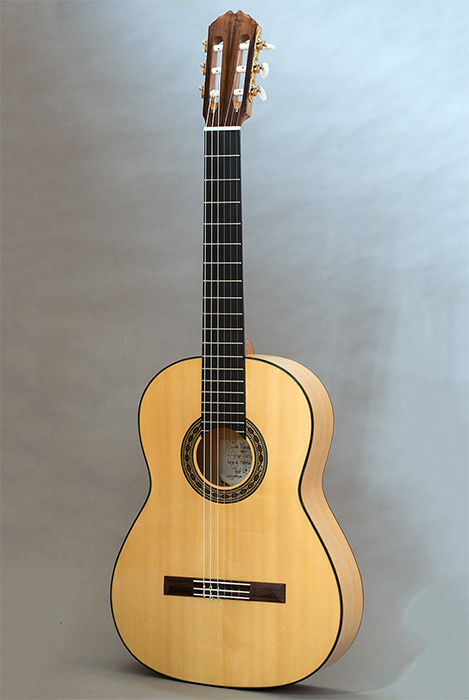 It produces much a more sustained sound than the typical fierce flamenco bite. The combination of these woods still make for a light guitar.